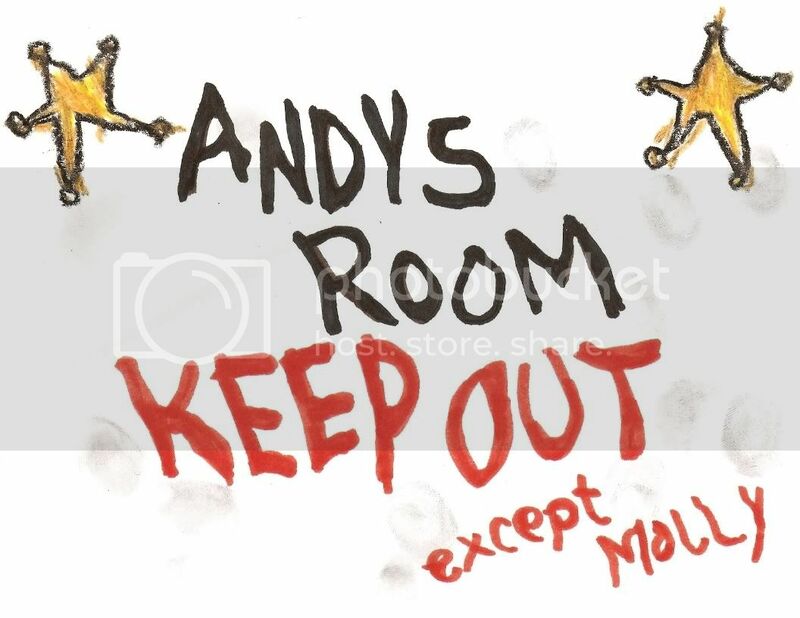 Here are some replicas I created of a few of the drawings in Andy's room. They look really nice printed out, and can be used as backdrops for displaying toys, or just for fun. They were originally posted in the Toy Story Replicas topic, but I figured I'd better put them in their own topic so they're easier to find later. Also, big thanks to Theclaw and TylerHaslett for posting the original references used to create these! If anyone has any other pictures of Andy's drawings for reference, I'll gladly create some more, because these are a lot of fun to work on! Also, the room sign could be printed on notebook paper to add a little authenticity, since it's drawn on notebook paper in the film. 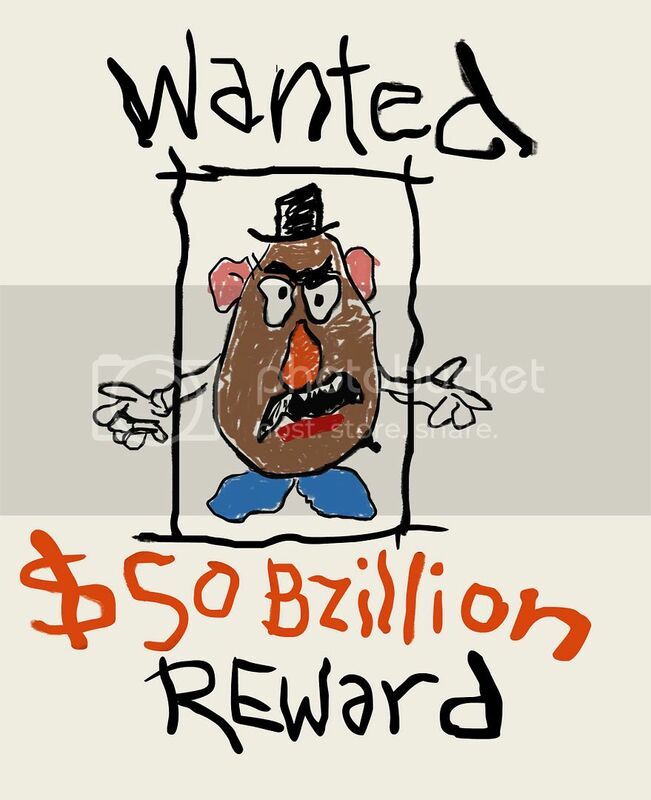 Additionally, the Woody drawing fits on a regular sheet of paper, but the extra space on the edges could be trimmed off after printing to make it more accurate. Last edited by Toodles on Tue Jun 08, 2010 6:31 pm, edited 1 time in total. That's awesome! You are really good! Granted, I haven't compared them side-by-side, but still if I didn't know better I would definitely say that those were the actual patterns used by Pixar! Location: Through the trench, not over it. Great job! I'm not sure, but they might still have the official patterns on the Toy Story website. Dinoco wrote: Great job! I'm not sure, but they might still have the official patterns on the Toy Story website. Really? Where? I haven't seen any of them on there before. That's be great if they did! I have to say you are a very good drawer for those andy pictures!. 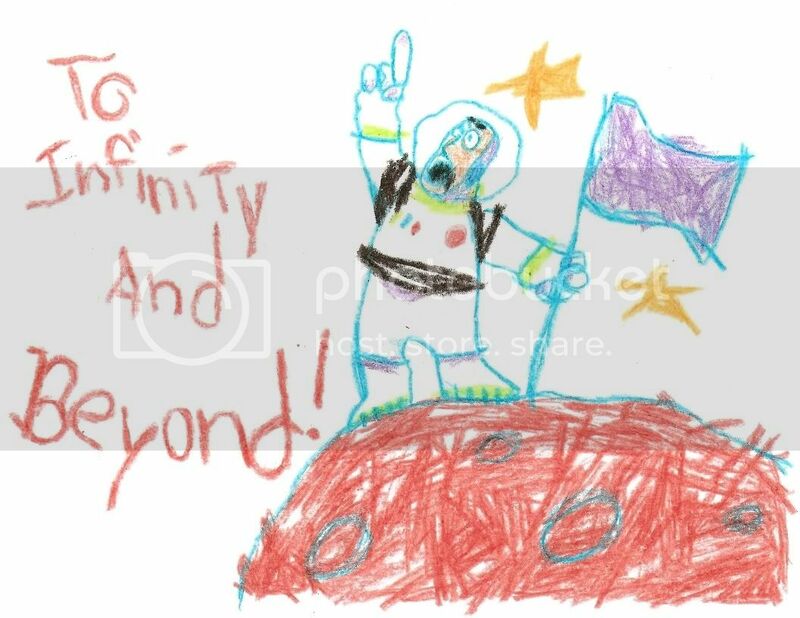 I remember I think it was last year or 2 years ago, in Melbourne (Australia) I went to a expo about pixar they even had the movie Up drawing's. But there were 2 things I rememberd. 1, I remember a giant plastic baby which must have been a model for the short Tin Tin. And 2, they had a massive area full of Toy Story 1 & 2 stuff. 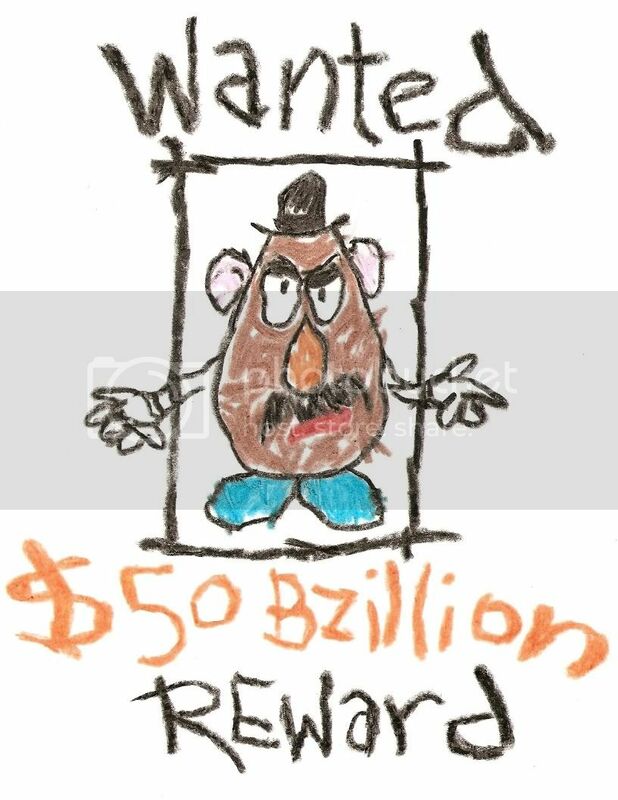 All those posters that you have drawn, Toddlers. They had amazing thing's there!!!. Also outside they had the pixar lamp and it was big!. I was going to buy one of those pixar lamps there ( And yes they do work!) but they ran out. One other creapy thing was the blue porche from Cars, it looked at you where ever you went, same with mike and sully!!! The first post has been updated with a couple of additional drawings! Check 'em out! Love the new drawing Toodles. They should all look real nice when printed out. Those are amazing, Toodles! How did you make them? They look really accurate. Can I make a request? 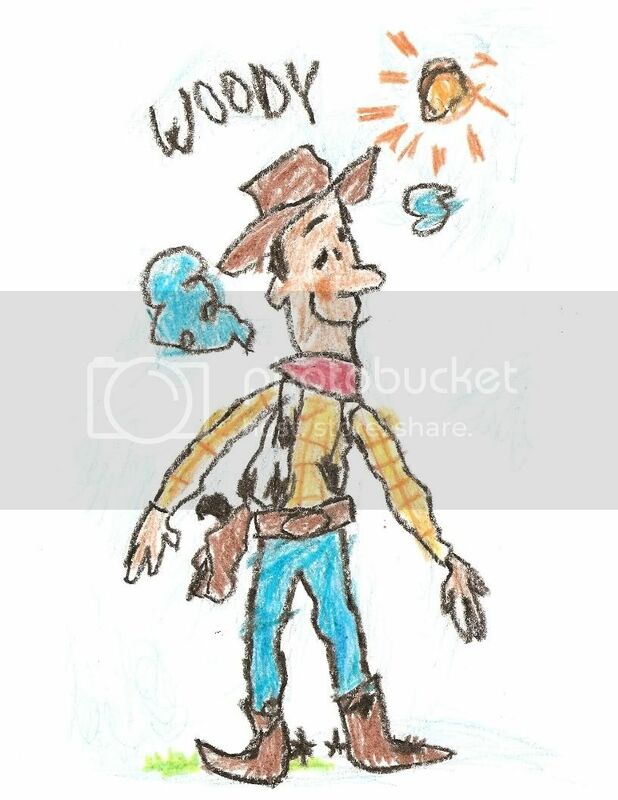 Would you possible do the cows that Andy drew on the boxes for Woody to lasso? I'd love to make some small replicas. lizardgirl wrote: Those are amazing, Toodles! How did you make them? They look really accurate. Thanks! I made them by first tracking down decent reference pictures of the originals. The first few were posted on here by other members, and the most recent ones I found myself. From there I just printed them out full-size and traced over the image using actual crayons. Then I scanned them back in and voila! Accurate replicas that are clean, crisp, and actually drawn with crayons. Probably not the greatest used of my artistic talents, I suppose, but they are fun to work on! Also eggy, regarding the cows image: If I could get a decent reference picture of the box (and I think I could), it wouldn't be hard to recreate the artwork. The problem is that it would be done on white paper, so it would be tricky getting the artwork onto a cardboard box in a convincing manner. Would it be possible to draw some of the drawings under "Old Drawings" on this page? Toodles wrote: Also eggy, regarding the cows image: If I could get a decent reference picture of the box (and I think I could), it wouldn't be hard to recreate the artwork. The problem is that it would be done on white paper, so it would be tricky getting the artwork onto a cardboard box in a convincing manner. I would print them on brown postage paper and wrap them around custom built mini boxes. Erik10101 wrote: Would it be possible to draw some of the drawings under "Old Drawings" on this page? The two most recent ones came from there. Near as I can tell, those are the only ones shown (that I haven't already drawn) that actually came from the movie. I think the rest are new. Okay, I've done some looking around and realized that the movie itself is the best place for references for the boxes. The problem is that, as the drawings are on brown boxes, most of them use white crayon. That means I'd have to do my drawings on brown paper to begin with and scan them in that way. I don't have any brown paper, however. If I acquire some, I might try to do some drawings otherwise, probably not.